I love the design process as it’s the part of the project where you breathe life into your dream to build a new home. Design is my passion despite the fact I’m a builder? I don’t have any ambitions to be one either, but it’s a rewarding process watching people’s faces when they just realise what my designer has created. Design is a collaborative effort based on the client’s wish list, the topography and orientation of the block, the designers creative flare and an inspired touch of my influence. There are run of the mill designers and there are special designers – I believe I am very fortunate to have the designers I do. Quote me if you like but I believe design is the single most important process during a custom build, or any build for that matter. Design is not just about a great looking house – it needs to meet building targets, it needs to be functional, practical & stylish, but almost most importantly it needs to be passive solar. Passive solar is not a dirty word where you have a ridiculous looking elevation that looks like a sea container with a rainwater tank sitting on it. All of our homes have at least some element included. Again, if you have an east or west facing block it’s easier, but every block presents its own set of challenges and as much as you need a roof over your head, the house has to be comfortable. In winter the sun sits at 34 degrees minimum, meaning it’s further away and that’s why it’s cold. In summer it’s at 81 degrees max; again the sun is closer and that’s why it’s hotter. During the winter months you want the sun to come into your home. I’m not talking north facing windows, as unless the sun hits that window glass and enters your home, it’s doing absolutely nothing. If I had a dollar where I have heard someone say the home has a northern aspect with a 3 meter veranda designed by so called professionals, I would be incredibly rich by now! With the use of a simple eave, this will stop the sun coming into your home in the peak of summer, but allow it to enter during the winter months. East and west sides of the building are excellent areas to put in deciduous plants or vines, allowing the sun’s rays to enter during winter and blocks them out during summer. This is not as popular as it used to be but as effective as you can get. You can also achieve the same with the use of quality blinds, but it does not get as good results. With our temperate climate we are extremely lucky. With an affective design you are always trying to take advantage of making a home comfortable between the seasons. It’s a lot easier to make one season a lot more comfortable than another – the trick is making your home as comfortable all year around. The future of passive solar design houses is going to be flat roofed homes, but only with the use of eaves and verandas skilfully placed. 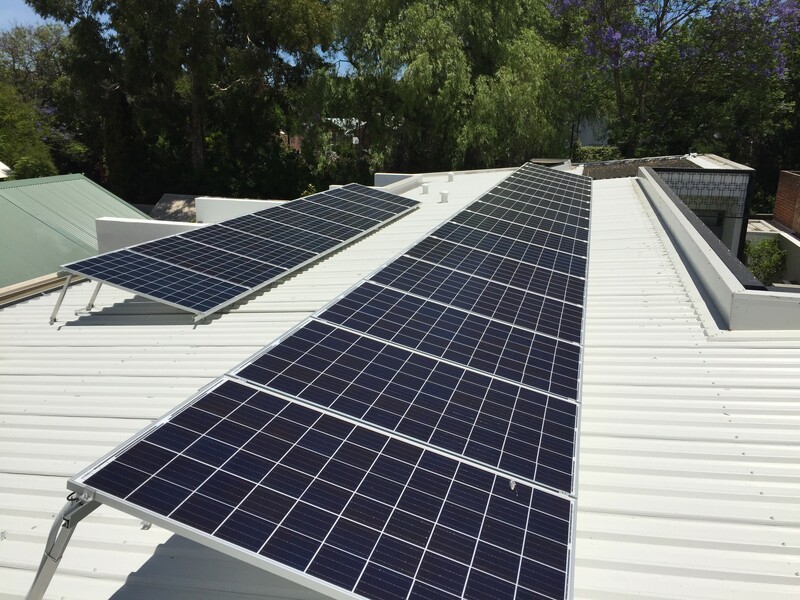 Photovoltaic cells are the future of heating and cooling in Australia. This is not just a case of if, it’s just a matter of time. When the storage of energy becomes more inexpensive, people going off the grid will be becoming more common. In respect of a roof type, guess what is going to become prime real-estate? Have you ever noticed a pitched roof always seems to be changing direction? This is a problem when installing solar panels. With a flat roof, the whole roof can face north, making it a perfect area to install lots of panels. On top of this, solar can be installed for the heating of your pool too. Imagine if you could heat and cool your home for free? The prospect sounds pretty cool doesn’t it? I install water ring mains in all my homes, as a water ring main allows hot water to circulate your home. This is not only a water saving device but also a time saving device. Have you ever thought you would love the hot water to hurry up and come? The ring main eliminates this frustration. If you added up all the time that you save over the life of the home, it’s a very handy device.